Piper is in desperate need of funds for her wolf sanctuary. So when she gets the opportunity to talk to a reporter about her beloved wolves she jumps at the chance. But the reporter, Ethan, has an agenda. And soon Piper finds herself fighting for not only her wolves, but also her home. The sparks fly, in more ways than one, whenever these two are together. This story is primarily emotion driven. There isn't really a lot of plot and what is there is predictable. The two main characters start the book with some glaring differences and don't really resolve them until the book is almost completed. Because of this, the romance felt a little rushed to me. But I didn't really get a sense of time, so perhaps it was longer than I thought. Overall, it was a nice story that I enjoyed, but it didn't grab me or keep me wanting to read until the last page. I received this book free of charge from in exchange for my honest review. Life as a mom can get crazy, with never-ending lists of things to do. When the kids are fighting, the laundry is piling up, and the next meal is waiting to be prepared the typical mother rarely has time for a moment with Jesus. Both authors, as mothers, know the stress of being a mother. 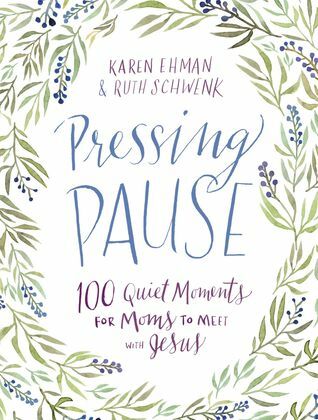 So they've designed this devotional just for mothers who need to take a moment to regroup and reconnect. Each day begins with a Bible verse, has a brief thought, and then a prayer that all ties together. At the end is one or two questions about the thought and some space for writing. 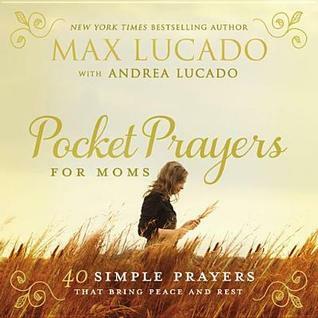 The authors kept the mother's lack of time into account so the devotionals are short, but packed with food for thought. I loved the cover on this book. It's beautiful, but calming. The design is simplistic, but pretty. Each devotional was well thought out and concise. The book has a ribbon to use for a bookmark. I loved this since the book is designed for busy moms who might lose a bookmark or grab random items to shove in its place. This would make a wonderful gift for that special mom or friend in your life. I received this book free of charge from Harper Collins in exchange for my honest review. Alison and her family lost their home to a fire on night. An arsonist entered their garage and their lives were changed forever. They made it out with their dog and the clothes they were wearing. Even their cars were destroyed. Now they must find out how to deal with insurance companies, changes in everything that was familiar, and a little girl asking for her own special dog. At first Alison and her husband refused. Now was not a good time. But after Alison sees "the pug list" one day she realizes that maybe this dog could bring healing to her hurting little girl. So the search for the perfect pug begins. What they bring home is far from perfect, but he somehow touches their hearts in the best possible way. First, this is not a book about a pug. I noticed quite a few reviews by people upset by this. The pug list is about the list and what it means to the family. This was an enjoyable read for me, but also difficult. Our family experienced a fire in our home two years ago. I saw a lot of similarities between our situations and it was difficult for those memories to resurface. But despite that, I was blessed by the author's candor, humor, and faith. The overall theme of the book seemed to be resiliency and that resonated with me. 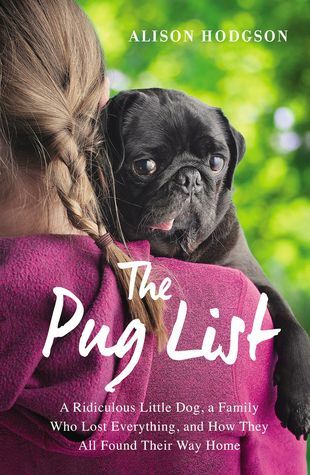 If you read the book expecting to find a lot of pug stories, you'll be disappointed. If you read the book looking for a real story about a real family that faces trauma and comes out the other end stronger than you'll really enjoy this book. I received this book free of charge from NetGalley in exchange for my honest review. Dru Porter is the youngest in her family. She's also the only girl. As the late in life child, it's been a fight to keep up with her older brothers. Her mother tried desperately to get her interested in princess activities or dance, to no avail. After a stint in the military, Dru is now working for a security firm as a protection agent. Her next client is a football player named Gray Fowler. Gray has a stalker that has taken a turn towards dangerous. And until the police can figure out who is sending the letters, Gray must suffer with round the clock body guards. Neither party is happy with the arrangement. Dru is protecting a womanizing guy who plays for the wrong football team, Gray is sure that a tiny woman like Dru can't protect him and will ruin his reputation as a tough guy. I've enjoyed all of the books in this series. But I think this one is a favorite. The author mixed suspense with the romantic elements which gave it just the right amount of drama and intrigue. The reader is able to catch a glimpse at the couples from the previous books. I think this book would work as a stand-alone since the references to the previous characters fit with the book and don't leave the author guessing. I really liked how the author wove the theme of faith and trust into the character's lives. I loved how the book started off with a bang and then went back to tell how the characters arrived at the dramatic ending. Dru is a dynamic character that jumps out at the reader from the page. She's strong, but has a gentle side. She's a super hero. My favorite secondary character is Augustine. This woman is hilarious and really rounds out the story. This family was a joy to read about and I'm sad that there aren't any more in the series. But I'm sure the author has something even better coming out next. David was a giant killer. Armed with just a sling and some stones, David did what none of the warriors could do. He did it because he was confident in the abilities of his God. Using this story to base the concept on, the author takes the reader on a journey to kill their giants. Giants come in many forms, but are always something we are afraid of. We tend to be afraid of change, things that we are unsure and scared of. God doesn't want us to be afraid. He loves us and thinks of us as worthy. He's given us tools to slay our giants. And now we need to grasp those tools and overcome our fears. 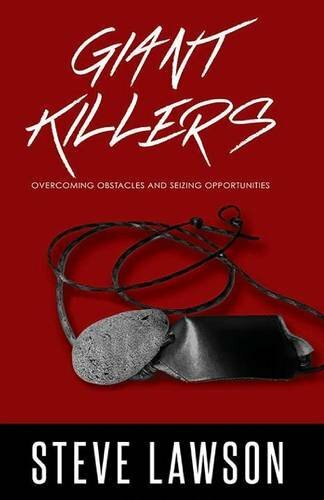 The author weaves personal and Biblical stories together to create a book that speaks to the scared soul. He uses lots of scripture and backs his theories or thoughts up with references. The book is interesting, convicting, and well written. It was thought provoking and affirming. This is a book that every Christian should read. I highly recommend it and look forward to reading more by this author. I received this book free of charge from Worldwind in exchange for my honest review. Not every woman considers herself a feminist. But the feminist movement has changed or influenced every one of us. Our culture and how we were raised play a large part in how we, as adults, view and interact with the world around us. 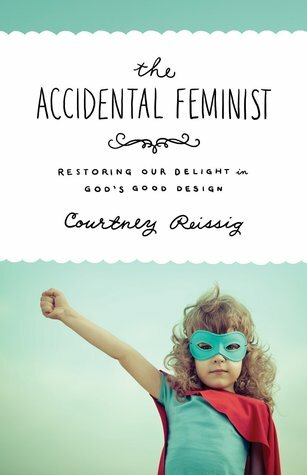 The author, wife and mother, writes Biblical counsel for the women today as they encounter feminism and helps to answer the question about what it means to be a Christian woman in today's world. At the end of each chapter are some questions for further reflection. The style of writing and many stories made this an easy book to read. The author liberally sprinkled scripture and illustrations to bring out her point. I enjoyed the book. And while I didn't agree with absolutely everything she said or some of the conclusions she came to, I did learn some things and the book gave me some concepts or thoughts to ponder. 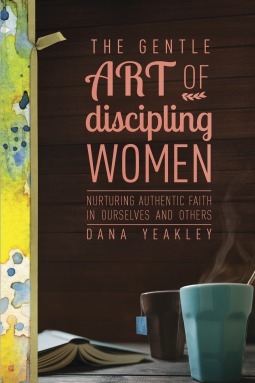 I would recommend this to any Christian woman who is struggling with where she fits in her role as wife, mother, Christian, etc. I received this book free of charge from Crossway in exchange for my honest review. Charlie and Lucy have a great marriage and amazing kids. Charlie retired from his job early, but Lucy loves her career as a music teacher and plans to engage in her passion indefinitely. But when the entire music program is cut, Lucy finds herself without a song. She's drifting and Charlie has no idea how to help. This was a complex book of emotions and insight. 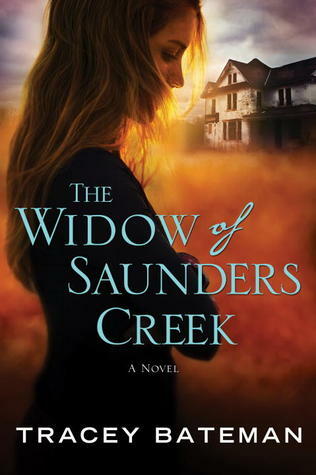 The book started out a little slow for me, but it didn't take long before I was immersed in the main character. Despite the age difference there were so many things that I could relate to in the story. The author did a great job of conveying how Lucy felt. This was a way to reconnect emotionally with my own marriage and see how I could make a difference in how I react or respond. I would highly recommend this book for several reasons - the writing is exceptional, the thoughts on marriage are spot on, it deals with empty nest and depression, the story is also humorous and entertaining. Overall, I really enjoyed this book and look forward to reading more by this author. I received this book free of charge from Litfuse Publicity in exchange for my honest review. Corrie has lost her husband Jarrod in Iraqi. Six months later she returns to the home he inherited from family in the Missouri Ozarks. She's hoping by moving into his family home that she'll feel closer to him. She still can't fathom a life without him. There is a feeling she has whenever she's in the home that gives her the feeling that Jarrod is there with her. Jarrod's cousin, Eli, is helping her with the renovations and isn't comfortable with this feeling. He knows what she is sensing and doesn't like how close she's getting to spiritualism. He continues to talk to her in hopes of convincing her that Jesus is the only one who can heal her heart. This book was incredibly hard for me to get in to. I'm not sure if it was the darkness of the subject or the topic of spiritualism. But it took me over halfway through the book before I got interested. It was well written with deep characters, detailed descriptions that placed you in the settings, and a well thought out plot. I think it was just my interest level in the subject matter. 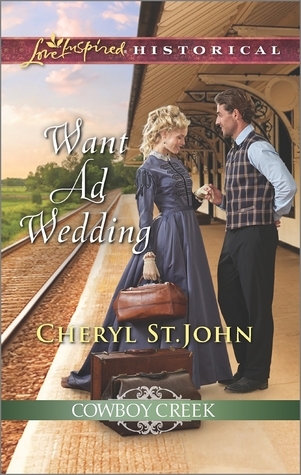 But I would still recommend this book because of the faith, romance, and well written plot. The author has taken her own experiences as a disciple for Christ and shared these with the reader. The book has two parts and begins with how to be a disciple of Christ yourself. For it is impossible to lead if you don't know where you are going. The second part is how to make a disciple. She gives illustrations and guidelines for how to become a mentor to another woman. She uses scripture and personal experiences to base her foundation for this wonderful way of mentoring another in Christ. She not only outlines the how, but also the why. I enjoyed the concept and the layout of the author's ideas. The two sections are well thought out and the author's writing is authentic. The first half of the book was not really what I thought the book was about. I know that it is vital to be a follow of Christ before trying to lead someone to Him. But I would have thought that anyone picking up this book would already have that and wanted an entire book to learn how to be a better disciple. The last half of the book was full of practical advice and I was able to take away several helpful points. Overall, despite my not thinking the first half was needed, I really enjoyed the book and would definitely recommend it. 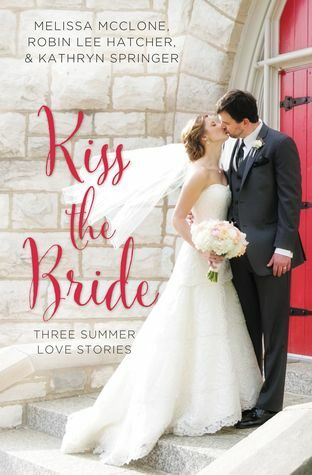 This last summer the publishing company Zondervan came out with an e-book each month celebrating weddings. Each novella was written by a different author. This summer they are coming out with the stories bundled together and are also available in paper books. Each story has characters who are integral parts of the wedding behind the scenes, such as photographers or wedding cake bakers. These young women soon find themselves in love and planning their own wedding. I reviewed all three of the novellas in this book and enjoyed them. 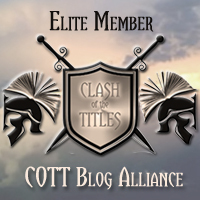 Each novella is fun, romantic, and clean. The authors weave different aspects of faith throughout the stories. These stories also give the reader a glimpse into the author's writing style. Several of the authors used characters from a series they were working on. While they can be read as stand-alones, fans of the on-going series enjoy the side story the novella provides. 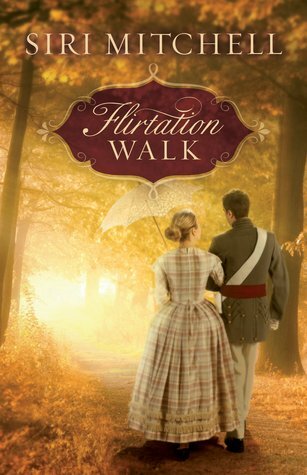 Overall, these are quick fun reads that any fan of romance will enjoy. Two little boys visit the stars and planets on a special rocket ship during the night. The words are written in a lyrical, poem style. The illustrations are colorful, fun, and fill each page. They draw the reader in to the story, fostering creativity and imagination. The font meanders across the page in a whimsical style. The story ends as the children come to rest in their little beds at the end of their journey with their toy rocket beside them. Children will love the pictures and the easy flow of words. The book can also be educational as most of the planets with some brief descriptions are given in the poem. The colors of the illustrations are muted to provide a great backdrop for the bedtime story. The words flow smoothly and the story ends with a good closing for bedtime. Overall, my children really enjoyed this book and I enjoyed reading it to them. 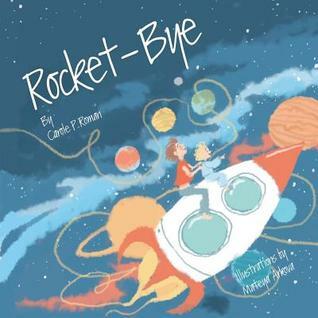 I would recommend this as a great bedtime story for young children interested in astronomy. 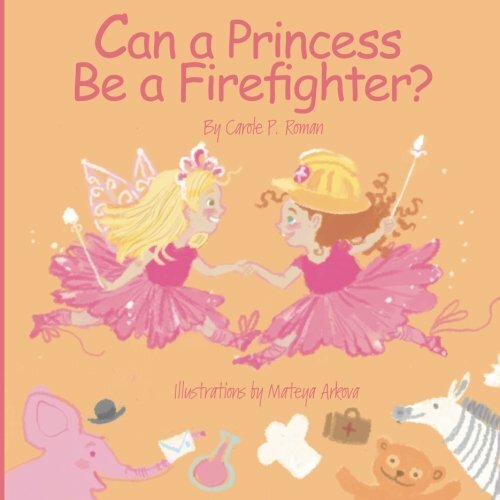 Two little girls ask their mom if they can be a firefighter and still be a princess. Follow the story as the girls and their mom talk about all of the jobs that girls can do and all of the options and choices they can make when they choose a career. The illustrations are precious and my daughter loved them. The concept behind the story is that you can do anything that you want to do and that you should choose a job that you love. I enjoyed the story as much as my daughter did. The lyrical flow to the story made it easy for me to read, the text left openings to talk to my child about what she wanted to be when she grew up, and the vocabulary is correct for the intended age group. We've enjoyed quite a few of this author's books before, but this one is a favorite. 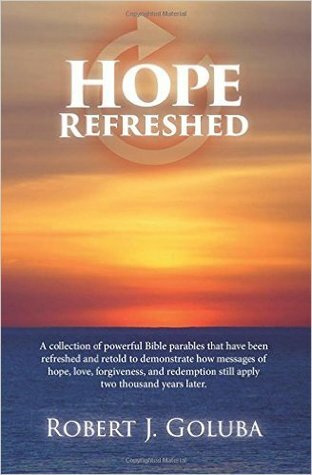 This is a collection of short stories that take the parables Jesus told in the Bible and make them relevant today using characters and scenes we would be familiar with. Each story stays close to the parable and uses the same type of illustrations. But the settings and characters are modern. I enjoyed this book. It was interesting to see the similarities in the stories. It was definitely refreshing to see how the truths that Jesus talked about so long ago still apply to us now. The writing style was indicative of a new writer with a rougher flow in places and some of the characters not well flushed out. But I can see this getting better with time and the author going on to become a great Christian writer. Overall, this was a great book to read all at once or over time and will inspire and refresh the soul of anyone who picks it up. This book is part of a series designed to introduce children to how other people live in different countries. 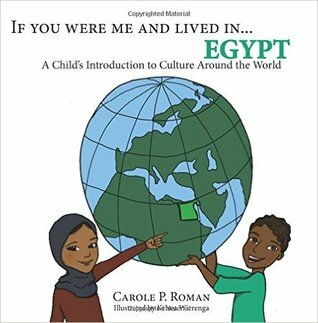 Using a mixture of illustrations and photography, the author talks about children who live in Egypt and what life might be like if you were a little boy or girl who lived there. She talks about location, family, food, and fun. The difficult or unfamiliar words have a pronunciation beside them and are all included in a pronunciation guide at the back of the book. My children really enjoy this series and look forward to each one. While the style of the book is laid out like a story, this is non-fiction and more informative. Children will learn quite a bit about the culture of other children around the world while having fun reading. I would recommend this book for family fun or for schools as an addition to curriculum. Lucinda is the daughter of a con man. Upon learning of his death, she heads to West Point to reconnect with her deceased mother's family. They know nothing about her helping her father and she intends to keep it that way. Seth is a cadet at the academy. He's at the top of his class and expected to receive coveted orders upon graduation. But when his sister is swindled out of their family farm he takes risky measures to get to the bottom of his class so he can go out west to search for the man who conned their family. The two are the unlikeliest couple. Yet sometimes things are always as they appear. This book started out painfully slow for me. But eventually the plot picked up a bit and I was able to get in to the story. The two main characters were about middle of the line for me as far as relate-ability and depth. The concept for the plot was solid and I enjoyed that part of it. The writing was good, as is usual for this author. The faith aspect seemed a little weak for me, considering it was Christian fiction. But that aspect seemed to fit with the characters so maybe that was the intend. My favorite part of the whole book as Seth's friends. They were entertaining and provided comic relief to the heaviness of the story. Overall, I enjoyed the book, but didn't love it. Cilla is a little dog that loves to spend time on the boat with her humans. Her love of all things ocean gave her the nickname fisherdawg. The pictures tell the story of little Cilla as she plays, works to get a fish, and finally rests from the busy day. Children will love the bright photography and adorable dog. Pictures fill each page and large, easy to read, font tell the story of the little dog who goes overboard for fish. The true story will capture the young reader's attention and keep them entertained the entire book. Parents will love the interaction that they get from reading such a delightful book to their children. At the back of the book are some activities for the children that stay with the theme of dogs and fish. Overall, this was a sweet start to a fun series about fisherdawg that children will enjoy. I received this book free of charge from Direct Contact in exchange for my honest review. 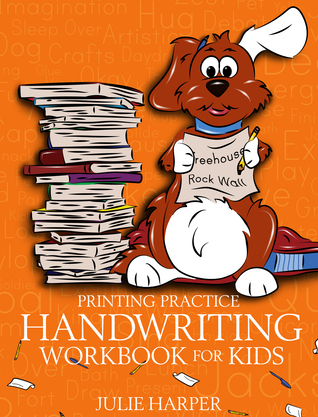 This handwriting workbook is designed so that kids can learn to enjoy writing. The book begins with letters, but quickly moves up to fun sentences. The author created sentences in that are fun to read and copy. And at the back of the book are a series of questions the children can answer without realizing they are working on their handwriting. My daughter loved this workbook. The lines are standard handwriting lines and so were very familiar to her. The book is lightweight and opens easily so she didn't have to struggle with the binding while trying to write. Overall, this was a great book to get her to practice while still enjoying the experience. I would definitely recommend this to any teachers, home schoolers, or parents who want to add to their children's education. Johnny is on the way to repair the cabin that he and his friend intend to live in while they run their business. He hears a noise and upon investigation realizes it's a young woman and her toddler son. Willow is on the way to meet her sister's train when her son Adam gets sick. Johnny takes Willow to his family home and then ends up helping her navigate the wilds of Montana in her search for her sisters. Both of them have trust issues and need to evaluate not only their faith in God, but also their standard for judging others. This was a light, but fun read. There were some elements of faith throughout the book, but it wasn't too much. The romance between the main characters was clean and sweet. There were some unrealistic moments, but it was easy to put aside in the enjoyment of the story as a whole. This wasn't primarily a plot driven story, but seemed to balance between plot and emotion driven. Overall, it was a light read that I enjoyed and think would make a great beach or rainy day story. John has been living the carefree and easy life until his father dies. Now duty calls. John must return to the family estate and take over his father's duties. One of those duties is getting his sister, Jane, ready for her season in London. While visiting a friend, John and Jane meet a bonnet maker named Nan. Nan is running the hat business that kept her and her two older sisters from poverty. But now that the sisters are married, Nan must find a way to keep the business alive. She's sure that she'll never marry, so she needs this business to keep from being dependent on her sisters. John thinks Nan would make the perfect person to convince his sister to change her wardrobe and have a season in London. Neither of them intend to marry so the arrangement should be perfect. This was a sweet, enjoyable story. While the ending was predictable, as is often the case in romances, it was a pleasant journey to get to that ending. The characters were well fleshed out and relatable. The interaction between the family members was sweet. 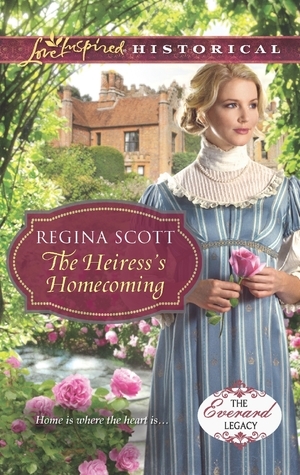 The two romances woven throughout the plot were sweet, clean, and with some humor. Overall, I enjoyed the story and will definitely read more by this author. Every woman out there probably dreams of a clean home that is inviting to her friends and family. We also long for the connection with our Savior that Mary had. 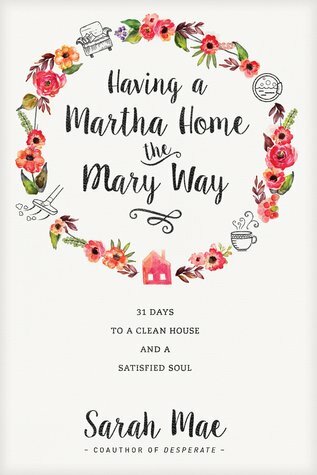 This author has combined the two desires into a part devotional, part cleaning schedule to help us achieve those goals. Each chapter is one day. 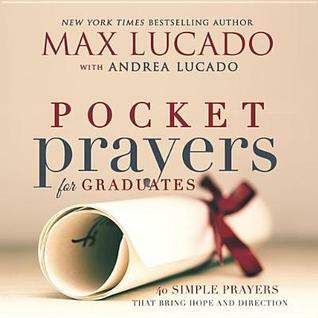 The chapter begins with a quote or scripture that ties in to what the focus is for that day. There is a thought from the author about the focus. It could be a story, how she accomplished the focus for the day, ideas for making the concept work, or a Biblical thought. She begins the challenge for each day with the spiritual. The Mary Challenge has a text to read and then some questions to ponder with space to write down your thoughts. The Martha Challenge tackles one room or section of the room and gives detailed instructions on how to get it cleaned. There is also a few thoughts on how to get the children involved. I absolutely loved this book. The concept is genius, the layout is user friendly, and the idea of combining the spiritual with the housework really spoke to me. So often I get caught up in the tiny details of running my home smoothly and forget that what I do is not only important, but that time with God is equally important. I read through the entire book, but will be starting the challenge and taking it one day at a time starting this next month. This book is definitely a keeper and I would recommend it to anyone - working or stay at home. Cal is a pro baseball player who is struggling after the death of his mother. So he's less than thrilled to find that he's inherited an obese, geriatric dog, named Tippy who has some serious quirks. He doesn't have time for a dog, especially one this weird. So he hires Gina, a dog sitter. Except Gina isn't really a dog sitter. She's biding her time until she can return to her first love - teaching. The three make the unlikeliest group and yet they seem be able to help each other in ways none of them thought possible. This book was not at all what I expected, but I really enjoyed it. The dog, while a crazy addition, made the book. The characters had dimension and added life to the book as well. I thought the concept of mixing three completely random characters together made the book interesting and helped to bring out the good in all of them. The author did a great job of adding fun and humor to some serious subjects. The touches of faith woven throughout the story were subtle, but well done. It was a nice surprise to see that this might be book one in a series. 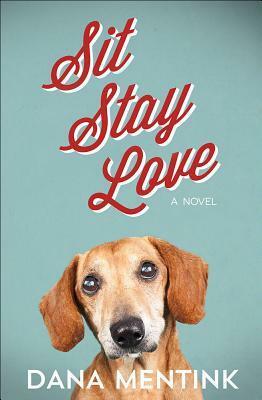 I would recommend this book if you enjoy animals, romance, or clean fiction. Victor is a man on a mission. He set his goal years ago to win the National Finals and nothing will stop him. At least that's what he thought until he gained custody of Alex, a nephew he'd never met. Victor has a terrible scar on his face and is known for being a loner. 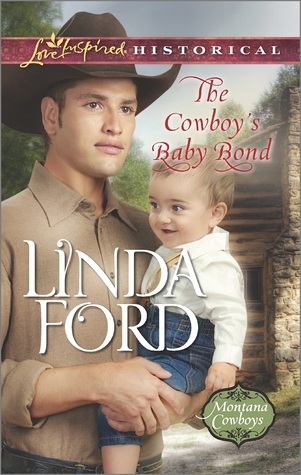 But for some reason the scar, the nephew, and quiet demeanor don't seem to scare Tanya, a fellow rodeo rider. 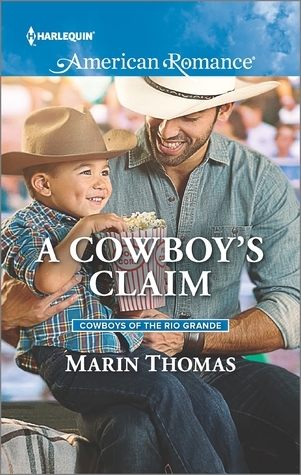 When Tanya needs money to stay in the rodeo game, Victor works out a deal where she'll watch Alex while he rides. It's mutually beneficial, but Tanya wants more than just friendship. This was a sweet, romantic story. The introduction of the nephew really picked up the plot for me. The characters seemed real and while the background on the main characters were a bit rough, it added authenticity to the story. There are a couple of bedroom scenes, but that isn't what the main focus of the story. 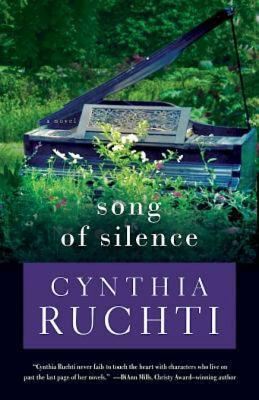 The plot seems to wrap around the relationships that come out of hardship and the concept of family. Overall, it was romantic and I enjoyed it. 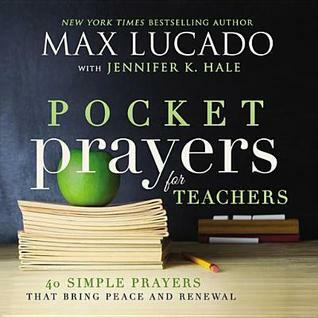 Max Lucado, a well know Christian writer, teamed up with several other authors to write some powerful prayers designed for specific people. Six little books targeting six different types of people, such as mothers, teachers, military, etc. 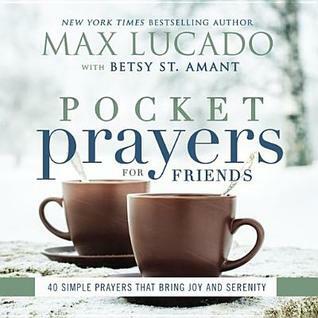 Each little book contains 40 scriptures and prayers that will encourage and comfort. The hardcover books have beautifully designed covers and colored font making these perfect for gifts. I loved the concept and layout of these books. They are small and compact, making them easy to slip into a purse or bag. Each prayer is accompanied by a scripture. The forward written by Lucado was heartfelt and inspirational. I look forward to giving these to my friends. I was asked to write a little telling about the person(s) I intended to give the books to. This book will be going to my daughter's teacher. Ms. J has been such a blessing to us. She's taught both of my children and they love her. Her love for God and for the children in her classroom shines through in everything she does. She's caring and considerate and her sweet nature makes her easy to work with. Our family has been blessed to have her in our lives and I thought of her as soon as I saw this book. This book will be going to a sweet young girl that I've watched grow up. She's the daughter of a friend and it's been a pleasure to watch her grow in maturity and in her faith. I'm excited for her future and I know that she'll received a blessing from this book. One of my dearest friends will be receiving this book. She is a sister of the heart and I couldn't think of a better person to gift this to. She is going through some stress in her life and I'm hoping that this book can bring her serenity and peace. Another sister of my heart will be receiving this book. She is a wonderful mother who puts her family above herself. She would do anything for them and has inspired me to be a better mother and person. I want her to have the rest and peace that these prayers could give her. Everyone is very busy doing what God created them to do. Even mommy is busy working. But she always has time to spend with her little on cuddling and giving love. Each page is filled with bright, colorful illustrations that will capture the attention of the young child. Rhyming words tell the story and stand out against the illustrated background. The board book is the perfect size for small hands and fits perfectly with the intended age group. 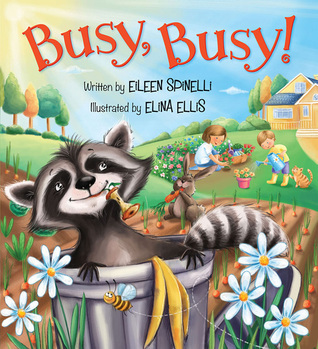 The story has a sweet message and is great for showing affection to young children and opening up the conversation about how even though we are all busy, we still love our children. The flow of words and whimsical illustrations will keep the child engaged. I think this would also make a great gift. I received this book free of charge from First Look in exchange for my honest review. Would a Worm Go on a Walk? Bright, colorful illustrations fill the entire page, while lyrical rhyming words ask silly questions. Children will enjoy the funny questions and parents will enjoy the concepts of God, nature, and His purpose for everything. 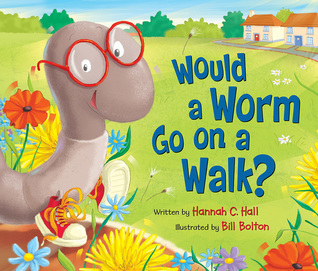 The book asks if certain animals will do things that are not normal for them such as a worm walking. But it ends with the thought that God has a specific plan for every animal, but more importantly He has a design and plan for us because we are His masterpiece. My daughter loved the book. The illustrations fit well with the text and helped to "tell the story". The cover is enticing and children will enjoy the artwork. The book would work well for younger children who are learning about God and how He fits in their life. It takes something comical, which children love, and subtly imparts the message that we are important to little children. I could also see this book being a hit in a nursery or children's pre-school. Samantha has a bit of a predicament. She has only one option to save her family home. She must marry by the time she is twenty-five. And that date is only weeks away. Not only does she not have a fiance, she doesn't even have any prospects. At least not prospects that she has any intention of spending her life with. She's rather lose her family home then subject them and herself to the past that she brings with her. But her neighbors, a father and son, seem to have different plans and have inserted themselves into her house party to try to change her mind. This was a fun story. Somehow I missed the first three books in the series. While this didn't detract from the story, it was obvious that there was more to the secondary characters that I'd missed. The main characters were flawed, engaging, relatable, and enjoyable. I thought the author did a great job of capturing the scenery without giving too many details. There were definitely elements of faith woven throughout the story and I enjoyed that part of it. There were some places in the plot that felt overdone or not really fitting with the time period. But overall, I really enjoyed this book and intend to go back and read the first three in the series. Fruit directly off the vine is so much sweeter than using frozen or fruit from cold storage. The author has taken each fruit and created recipes based on when these fruits are found in season and what other fruits might pare well together. 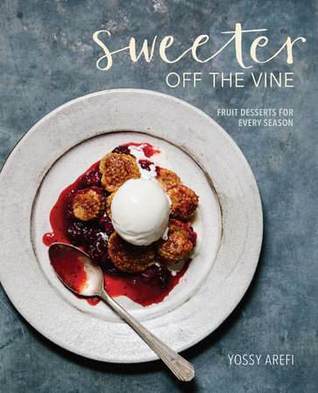 The book is full of beautiful photography and each recipe is well laid out and easy to read. The recipes range from simple to the more complicated, but all are delicious desserts that utilize in-season fruit. I loved the photographs. These really made the book for me. The pros for me would be the pictures, the use of in-season fruit, layout of the book, and the healthy ingredients. The cons would be the use of harder to find ingredients in most of the recipes. While I recognized all of the ingredients, there were quite a few that I am unable to get in my small town. But otherwise, this was a great cookbook that I'll enjoy using over and over. 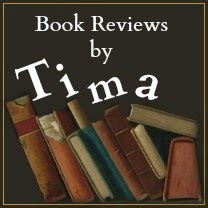 I received this book free of charge from Blogging for Books in exchange for my honest review. Sarah has only returned home to help her mother with her grandmother. 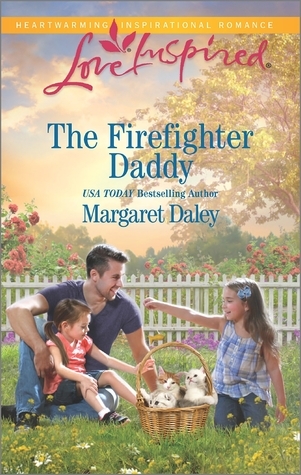 She left town after her husband died in the line of duty as a firefighter. She couldn't handle the memories. She has no intention of staying until she meets some precious girls who rescued her dog after he was found running loose. Now that she's met them and their wonderful uncle she must might want to stay. But he's a firefighter who puts his life on the line and has no intentions of staying in town himself. This was a super sweet book. The little girls are precious and all of the characters emphasize family and small town connectedness. The author wove inspiration into the story and leaves the reader feeling blessed and encouraged. The two older ladies were hilarious in their matchmaking attempts and added to the depth of the story. I enjoyed reading the book and look forward to more by this author. Hopefully she'll write more about the single dad's group. Daniel and his two friends have helped start the little town of Cowboy Creek. So when they want the town to grow, they send off for four mail-order brides to help grow the families of the town. They plan to start small and order more if the first four work out. Daniel is in for a shock when he sees his childhood friend step off the train. Leah is now a pregnant widow with no family to help her. She was desperate enough to answer the ad, but a marriage of convenience with her friend Daniel might be the perfect safety net for her and her unborn child. This was a sweet, well written story. The characters had depth and were engaging. I liked the back story that the author gave the two main characters. She also set several people up to be the main characters in the next book. The secondary characters were interesting as well and added to the whole plot. 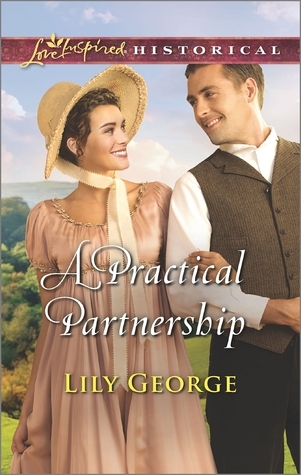 Overall, it was a sweet, clean romance with just a little drama that I enjoyed reading. Nine christian fiction authors have come together to share their novellas about love and the journey that it takes us on. Each story is linked by the theme and the historical western setting. 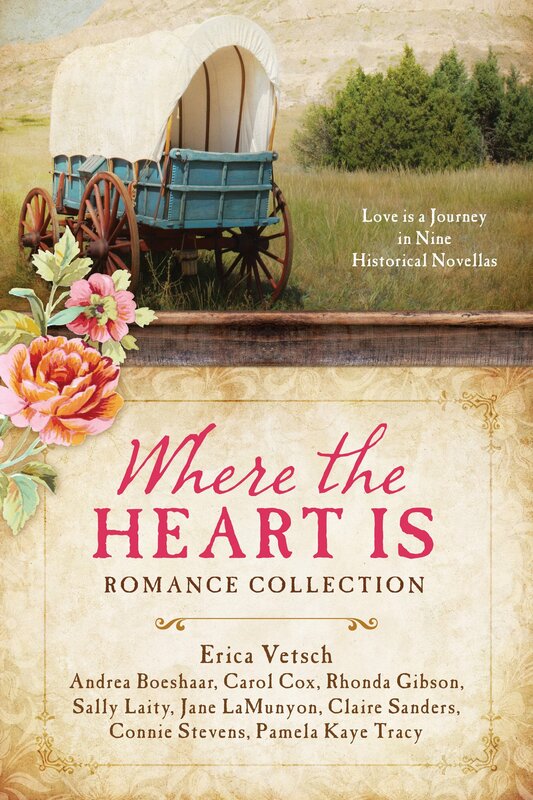 They all include romance, faith, family, and the journey to love. I enjoyed each of these stories. The authors did a great job of bringing the couples together with a little bit of drama. The characters had depth and fit well with the plots. There isn't a lot of drama, but each story was sweet and well written. I enjoyed the elements of faith that each author wove into the story and made part of the relationship. 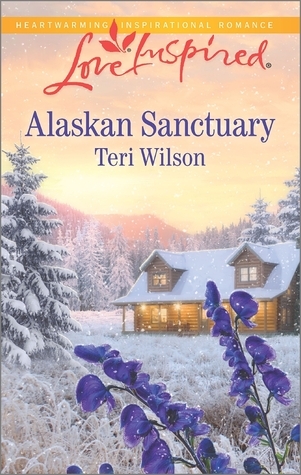 I was pleasantly surprised to see two stories that were part of a mini series that were missing from a novella collection I'd read earlier in the year. 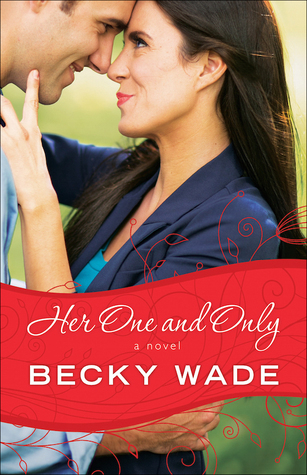 This book is perfect for someone who enjoys christian romance, wants a quick read, or needs an escape.